Mikhael Subotzky’s (b. 1981, Cape Town, South Africa) film, video and photographic works examine the construction and internal structures of narratives concerning representation. His photographs and films frame the spontaneity of action and the stillness of portraiture through very precise compositions. Whether natural or artificial, the scenes are bathed in light that falls gracefully onto the grit and grime of interiors and exteriors alike. 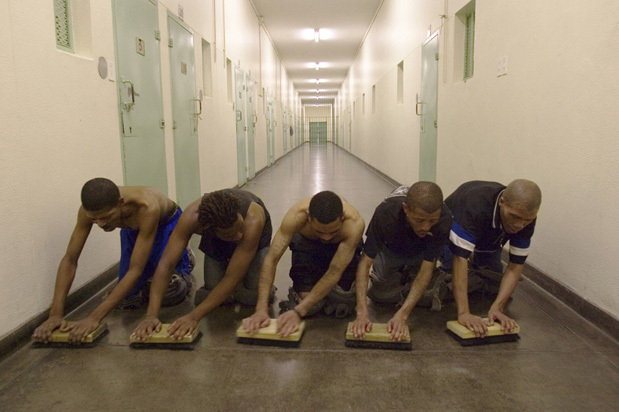 Subotzky’s work is very often a result of his immersion within communities and individuals traversing the penal system (Die Vier Hoeke - The Four Corners), everyday life in post-apartheid South Africa Umjiegwana (The Outside and Beaufort West) and the contemporary and historical structures of power. In publishing books alongside his exhibitions — Beaufort West (2008), Retinal Shift (2012) and, with Patrick Waterhouse, Ponte City (2014) — Subotzky’s oeuvre provides an invaluable insight into the power systems of South Africa. Mikhael Subotzky’s (b. 1981, Cape Town, South Africa) film, video and photographic works examine the construction and internal structures of narratives concerning representation. His photographs and films frame the spontaneity of action and the stillness of portraiture through very precise compositions. Whether natural or artificial, the scenes are bathed in light that falls gracefully onto the grit and grime of interiors and exteriors alike. 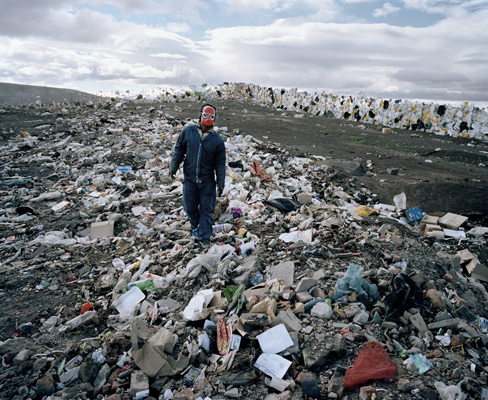 Subotzky’s work is very often a result of his immersion within communities and individuals traversing the penal system (Die Vier Hoeke – The Four Corners), everyday life in post-apartheid South Africa Umjiegwana (The Outside and Beaufort West) and the contemporary and historical structures of power. In publishing books alongside his exhibitions — Beaufort West (2008), Retinal Shift (2012) and, with Patrick Waterhouse, Ponte City (2014) — Subotzky’s oeuvre provides an invaluable insight into the power systems of South Africa.